'This guy feels bad, right. He's not doing this on purpose - it was a mistake on his part and he feels terrible about it,' said EMA Administrator Vern Miyagi in a press conference Saturday afternoon. Miyagi, a retired Army major general, said the employee had been with the agency for 'a while' and that he would be 'counseled and drilled so this never happens again' - but stopped short of saying whether there would be disciplinary measures. 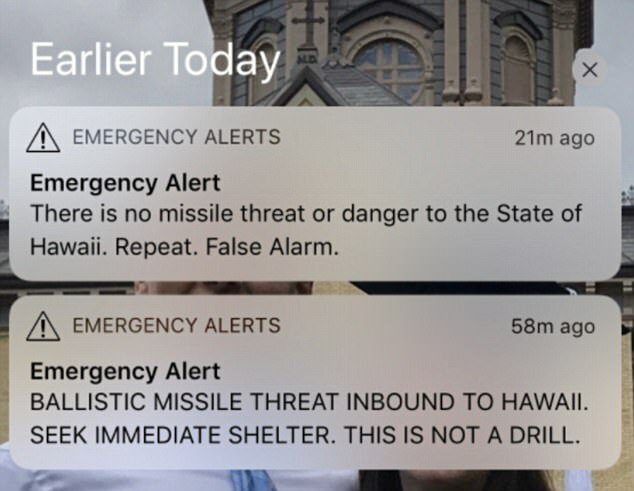 Panicked Hawaiians ran for their lives and even lowered loved ones through manhole covers after receiving this alert at 8.07am local time: 'BALLISTIC MISSILE THREAT INBOUND TO HAWAII. SEEK IMMEDIATE SHELTER. THIS IS NOT A DRILL'. A similar message flashed up on local television networks and brought live sports games to a halt. Actor Jim Carrey, like many others, said he woke up thinking he had 'ten minutes to live'. On the H-3, a major highway north of Honolulu, vehicles sat empty after drivers left them to run to a nearby tunnel after the alert showed up, the Honolulu Star-Advertiser reported. Fearing a nuclear attack, terrified residents and tourists including basketball legend Magic Johnson flocked to shelters and into their garages. The mistake was corrected by government agencies on Twitter 12 minutes later but it took 38 minutes for another phone alert to be issued confirming to residents that it was a false alarm. Some say they never received a second phone alert at all. Miyagi said that there was no template in the system for an alert retraction, and so the all-clear message had to be manually entered and activated, accounting for some of the delay. Officials are suspending further drills until the incident is fully investigated. State emergency managers have also already implemented a two-person verification for alerts and an automated all-clear signal that can be used in the future. 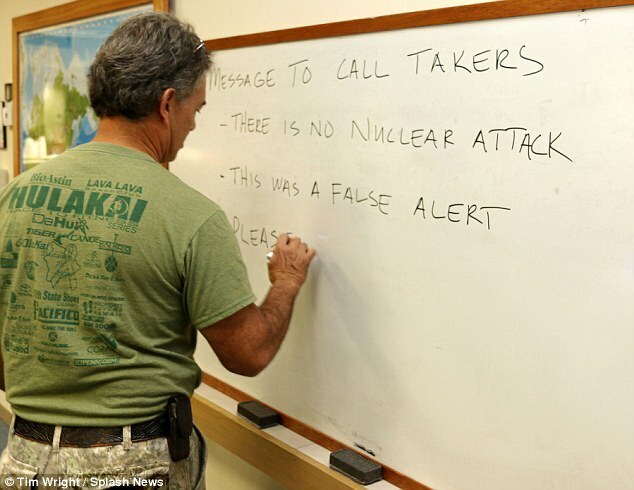 When it became clear on Saturday morning that the ballistic missile alert had been a false alarm, the public's panic turned to fury. 'Imagine this for 37 agonizing minutes before it is deemed a false alarm,' said one person. Officials have given the following timeline for the false alert on Saturday. Approx. 8.05am: A routine internal test during a shift change was initiated. This was a test that involved the Emergency Alert System, the Wireless Emergency Alert, but no warning sirens. 8.07am: A warning was erroneously triggered statewide by an employee at the Hawaii Emergency Management Agency (HI-EMA). 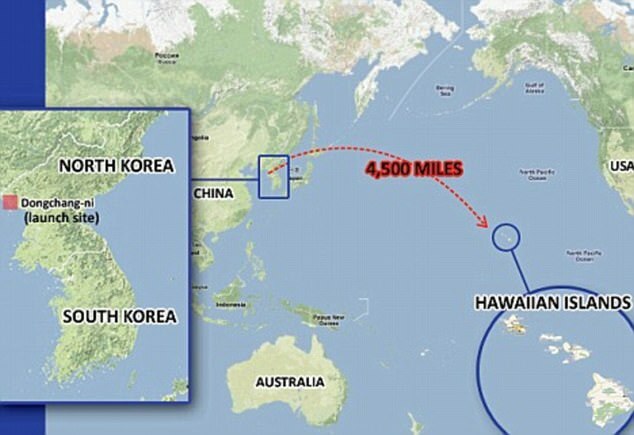 8.10am: State Adjutant Maj. Gen. Joe Logan validated with the US Pacific Command that there was no missile launch. 8.13am: State Warning Point issues a cancellation of the Civil Danger Warning Message. This would have prevented the initial alert from being rebroadcast to phones that may not have received it yet. For instance, if a phone was not on at 8.07am, it would not receive the alert later on. 8.20am: HI-EMA issues public notification of cancellation via their Facebook and Twitter accounts. 8.24am: Governor Ige retweets HI-EMA’s cancellation notice. 8.30am: Governor posts cancellation notification to his Facebook page. 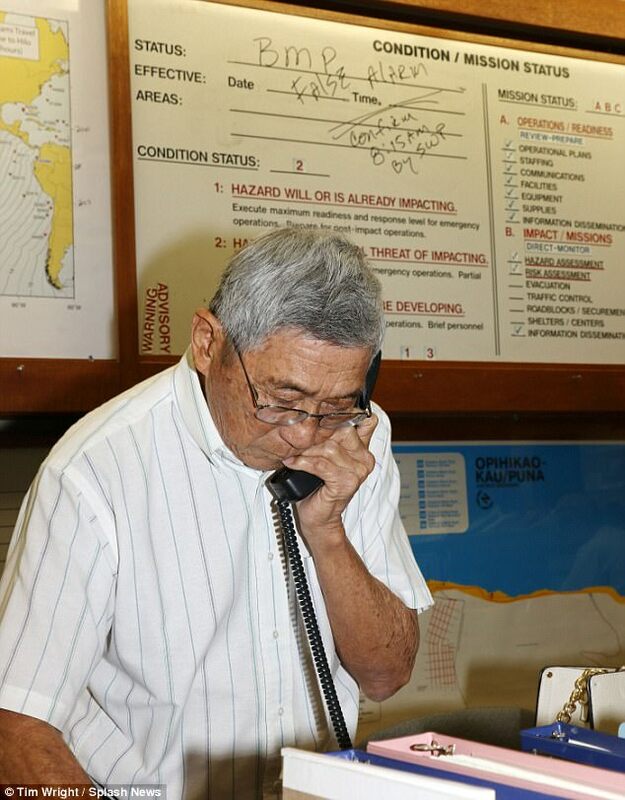 8.45am: After getting authorization from FEMA Integral Public Alert and Warning System, HI-EMA issued a 'Civil Emergency Message' remotely, cancelling the false alert. Lawmakers slammed the mistake as 'inexcusable' and said 'the whole state was terrified'. Another critic said the delay in phone alerts meant that only people with access to social media would have known it was a false alarm straight away. 'Fire people. Fix it,' one outraged commentator said. At the same time as the phone alert, an emergency alert was broadcast across radio and television networks. The TV and radio alert told viewers and listeners: 'If you are outdoors, seek immediate shelter in a building. Remain indoors well away from windows. Calls from frightened residents inundated Civil Defense immediately asking for more information or advice after the first alert was issued. People who say they got through to the office were then told it was a mistake that was caused by an employee who 'pushed the wrong buttons' during a drill. One woman called 911 in panic and said she was told by the operator that staff were performing a drill when 'someone pushed the wrong buttons'. 'Called 911...Operator said it's a drill of Civil Defense Emergency System but someone pushed the wrong buttons.. The US Federal Communications Commission said on Saturday it was launching a full investigation into a false emergency alert that said a ballistic missile was headed for Hawaii, the chairman of the commission said. 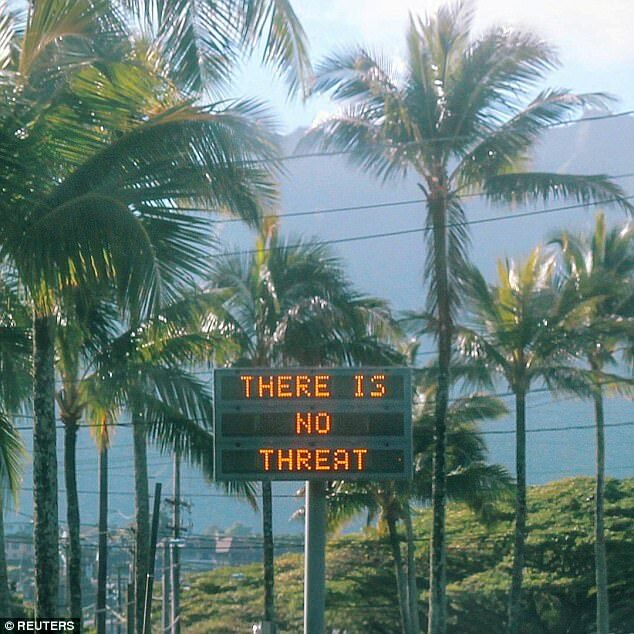 The alerts to Hawaii cellphone users were issued at about 8.07am local time, saying 'ballistic missile threat inbound' and urging residents to seek shelter immediately. The message also appeared on Hawaii television stations, according to news reports. The alert was officially canceled about 38 minutes later. FCC Chairman Ajit Pai posted on Twitter that the FCC was launching a full investigation and FCC Commissioner Jessica Rosenworcel said the commission must find out what went wrong. 'Emergency alerts are meant to keep us and our families safe, not to create false panic. We must investigate and we must do better,' Rosenworcel wrote on Twitter. 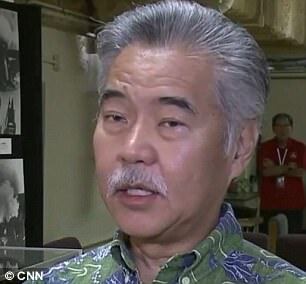 CNN reported Hawaiian Governor David Ige told reporters the mistake was the result of human error and someone at the state emergency management agency pushed the 'wrong button' during a shift change. Wireless carriers do not prepare or write the alerts but they run simultaneously on all networks. Pai is proposing that providers 'deliver these alerts to match the geographic area specified by the officials sending the alert with no more overshoot than one-tenth of a mile,' he said in a statement earlier this week.Governor Ige confirmed as much when he spoke to CNN later in the morning. 'It was a mistake made during a standard procedure at the change over of a shift, and an employee pushed the wrong button,' he said. The Civil Defense phone lines were consistently busy on Saturday and the Department of Defense has not responses to questions on the matter. It is not clear yet whether the person responsible for the error will lose their job. The Federal Communications Commission has launched an investigation into the error. President Donald Trump was playing golf in West Palm Beach when the false missile alert went out. The White House confirmed later in the day that Trump had been briefed on the mistake. 'The President has been briefed on the state of Hawaii's emergency management exercise. This was purely a state exercise,' said spokeswoman Lindsay Walters. 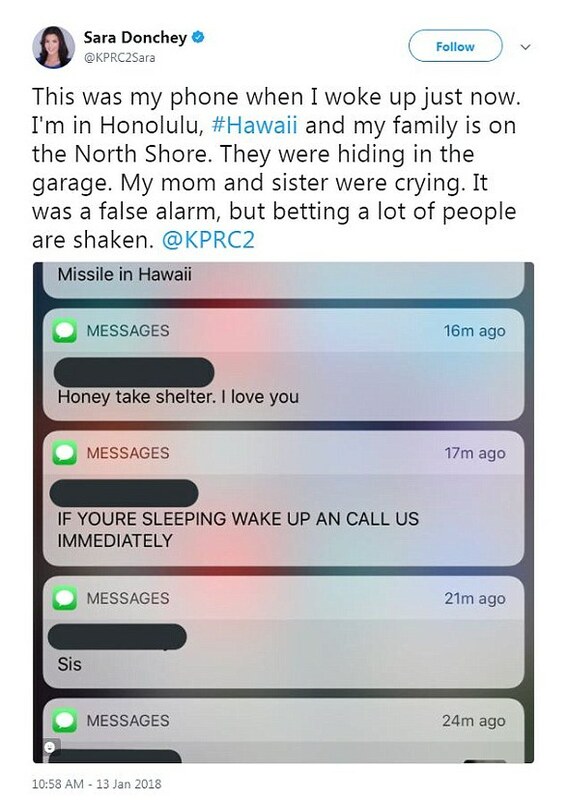 The Hawaii Emergency Management Agency tweeted 12 minutes after the first phone alert was issued to say it was a false alarm. The state's governor David Ige quickly retweeted the post as did other lawmakers. 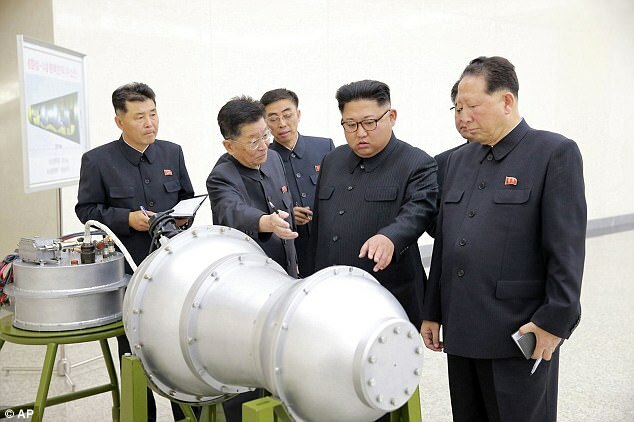 They vowed to get to the bottom of how such a colossal error was made. 'There is nothing more important to Hawai'i than professionalizing and fool-proofing this process,' Senator Brian Schatz tweeted. He went on: 'What happened today is totally inexcusable. Terrified residents later described how they packed into their garages to take shelter and sent messages to each other to say: 'I love you'. Videos circulated of children being dropped into storm drains for shelter though those are unconfirmed. There were also unconfirmed reports of tourists being escorted into a 'bomb shelter' at Pearl Harbour. 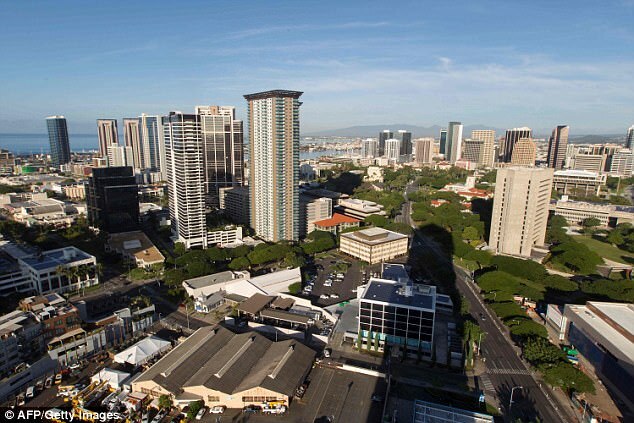 Panic and terror gripped residents and visitors in Hawaii on Saturday after authorities said there was an incoming ballistic missile only to later clarify that it was a false alarm. Social media users posted videos, photos, and testimonials about residents hurriedly taking up shelter while thinking they were under attack. 'I was sitting in the bathtub with my children, saying our prayers,' Hawaii state representative Matt LoPresti told CNN in emotional interview after false missile alert. 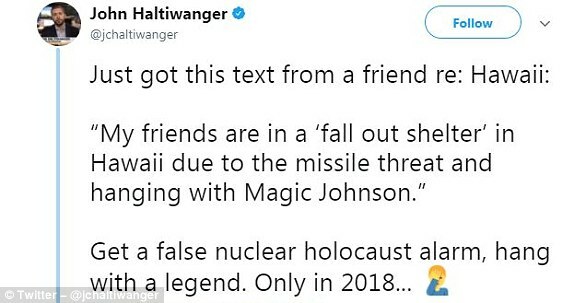 'Talking to loved ones in Hawaii, the reality of the situation is everyone thought they were going to die for 40-minutes,' tweeted another Twitter user. 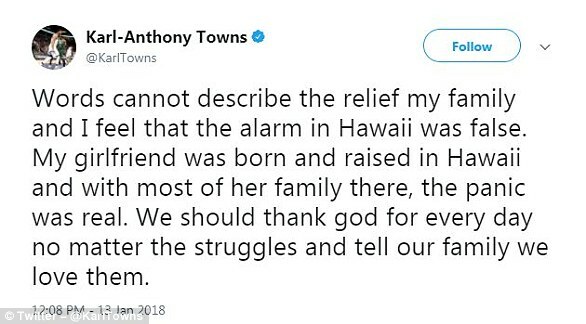 Current NBA star Karl-Anthony Towns tweeted: ‘Words cannot describe the relief my family and I feel that the alarm in Hawaii was false. 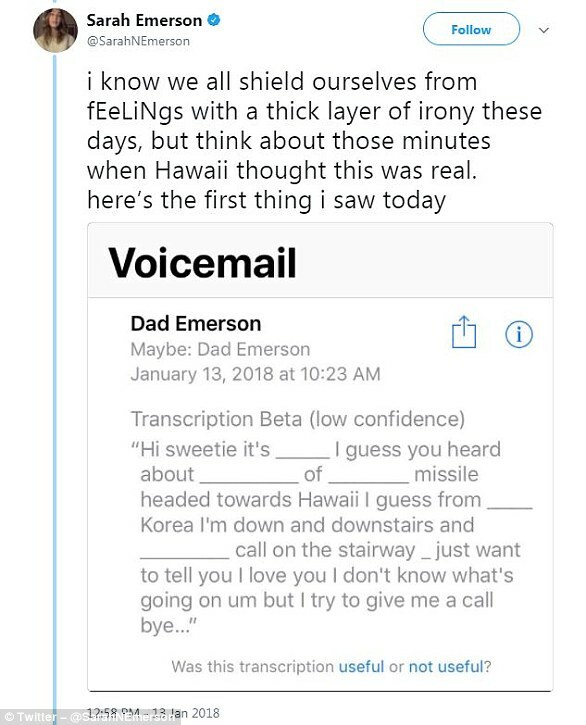 ‘My girlfriend was born and raised in Hawaii and with most of her family there, the panic was real. 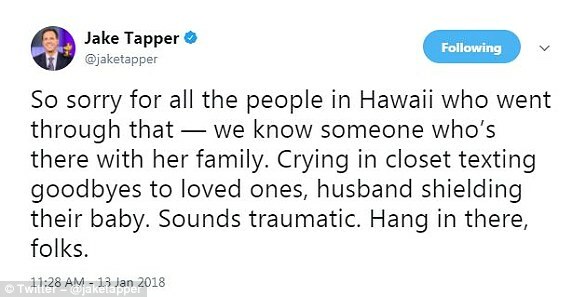 CNN host Jake Tapper tweeted: 'So sorry for all the people in Hawaii who went through that - we know someone who's there with her family. Maureen McCormick tweeted: 'My family in Hawaii got a phone alert and hid in the bathroom with kids for a good 10 minutes thinking "This is going to be it." Shortell described 'a pretty harrowing 15 minutes' huddling in a garage with families and young children.